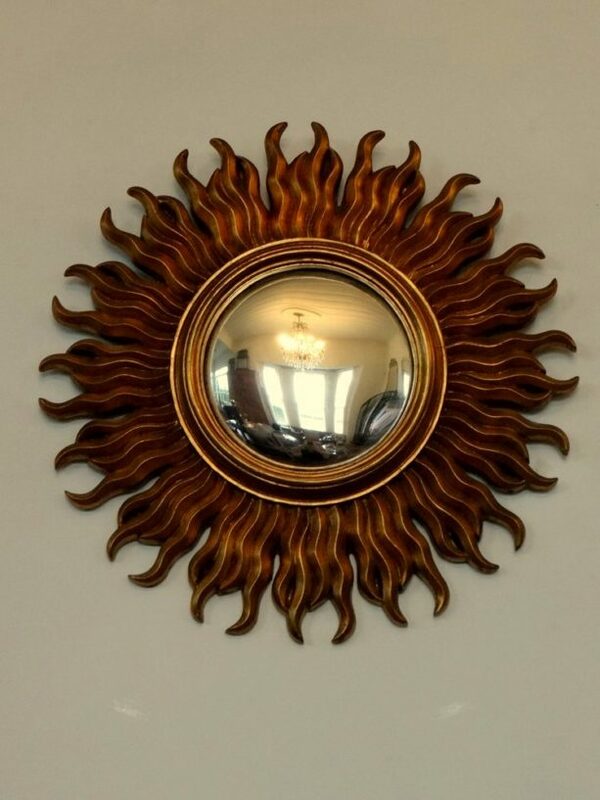 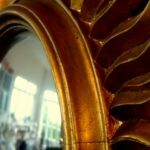 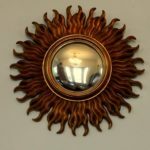 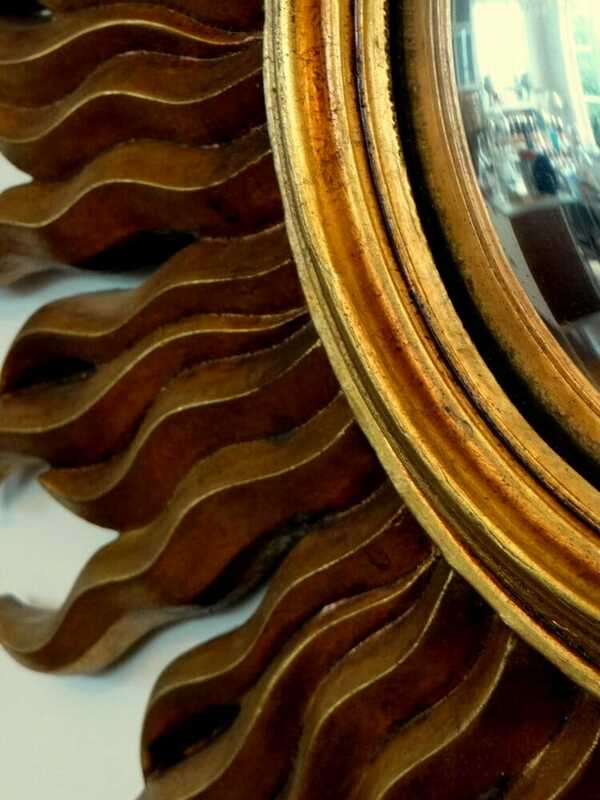 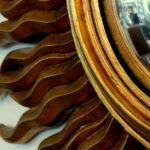 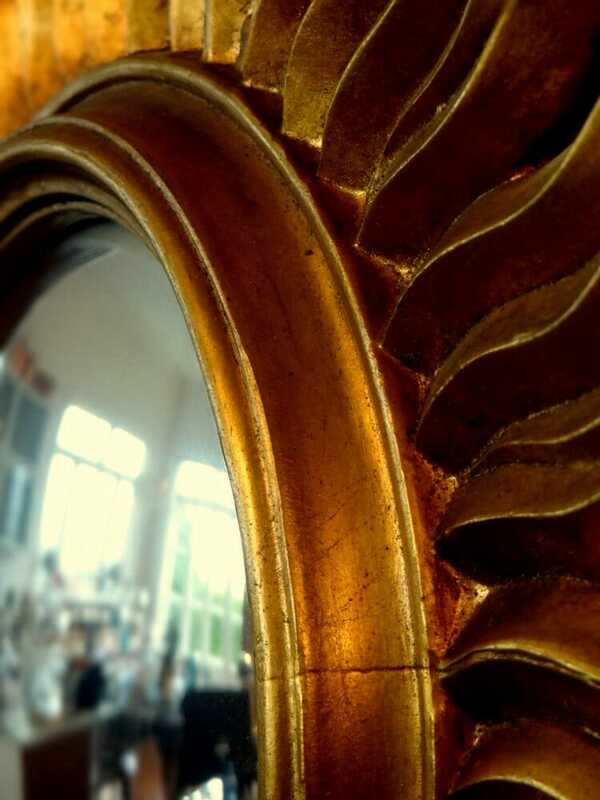 Louis XVI style French gilt-wood sunburst mirror c.1950 with inset convex mirror. 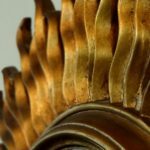 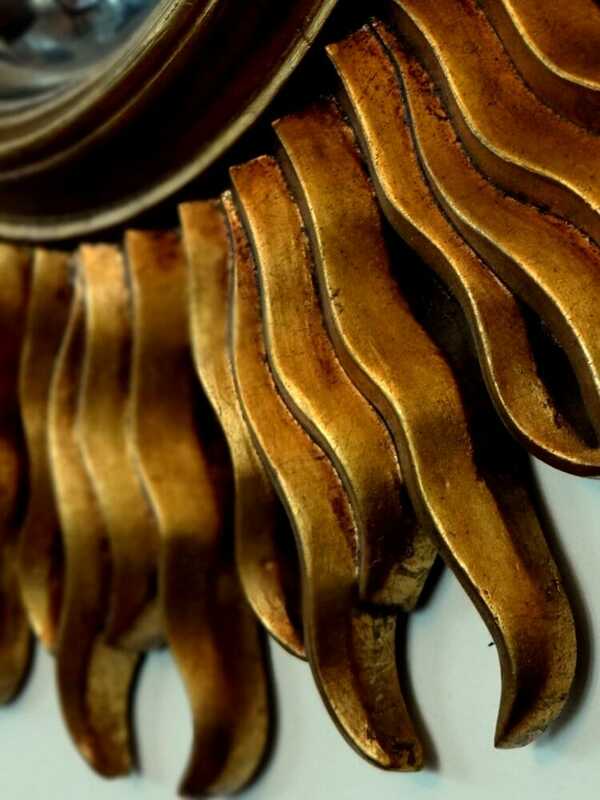 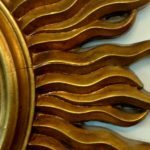 The sunburst as a decorative motif may have its roots in the halos surrounding figures in medieval religious art. 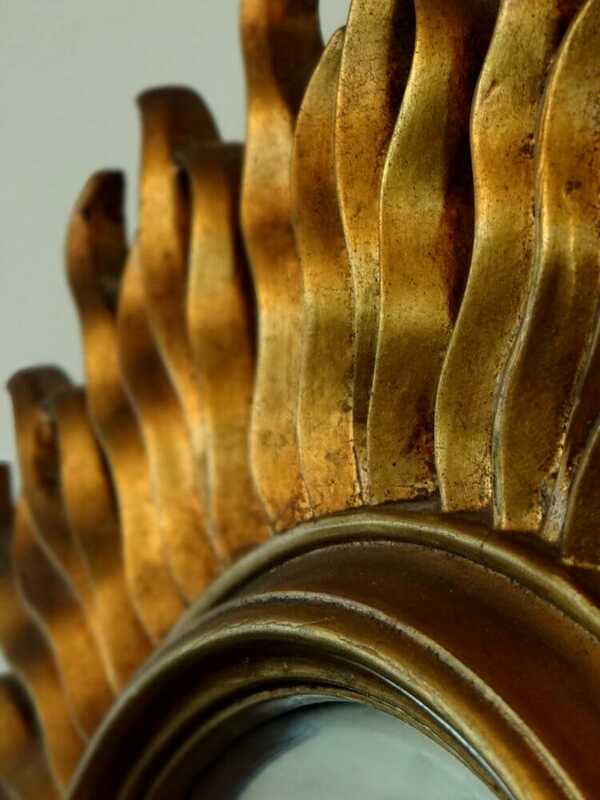 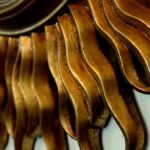 During the 17th century, the Catholic church began using elaborate monstrances ﾗ decorative stands used to display the communion wafer ﾗ adorned with gilded rays. 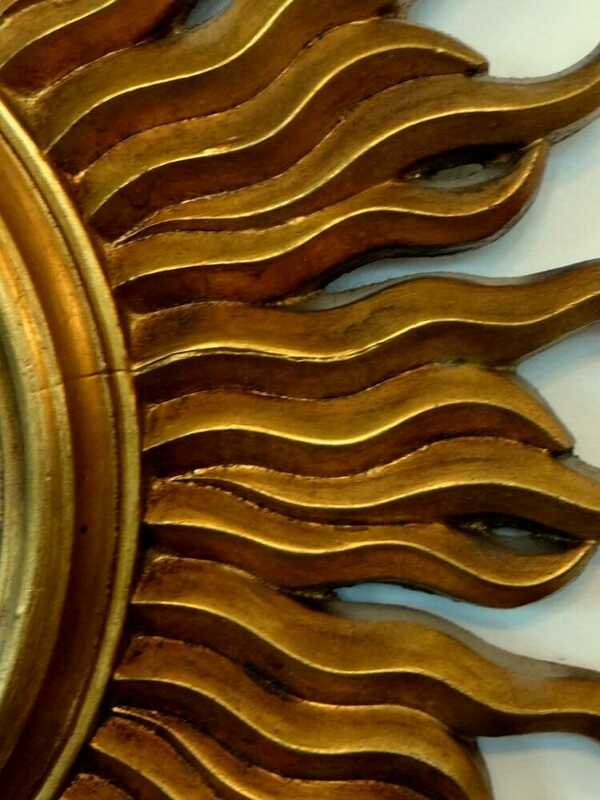 Churches in Italy (most famously St. Peterﾒs Basilica in Rome) often had gilded sunbursts above the altar.